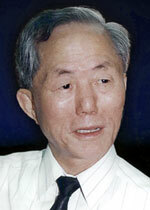 Taekwondo was founded on April 11th 1955 by General Choi Hong Hi. General Choi is recognized around the world as the Father of Taekwon-Do and the Founder of the International Taekwon-Do Federation (ITF) and he created the ITF system that we know today. He developed Taekwon-Do using elements of the ancient Korean art of Taekkwon and also elements of Shotokan karate which he learned while studying in Japan.